I'm currently having 3 new issues with my Rift since I built my new pc. The first one I'm attempting to fix is this.....I'm having issues with the image in my headset getting jittery and blurry after fast movement in game. I mostly sim race with the Oculus. For example if I lose control and spin out, all of a sudden the image gets very jittery or blurry if I move my head in any direction. If I don't move my head the image stays stable. Once this happens I have to restart the pc to get it working again. But usually only works normal for up to 20 min. 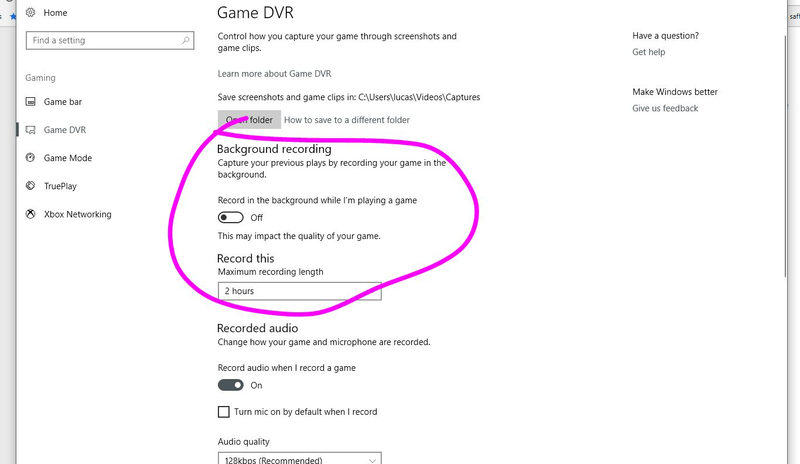 I've been using my Rift for sim racing almost every day since November 2017 so I know what to expect as far is whats acceptable or normal when it comes to the image quality and behavior. I know how to make all the adjustments on the HMD to ge the image looking its best. All this started the other day after setting the Rift up on my new pc I built. Its an Intel Z370 platform with Windows 10 Pro. My previous pc was on the Intel Z97 platform with Windows 7 Pro. This never happened on the Windows 7 machine. 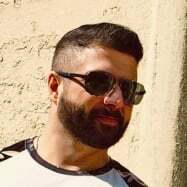 I'm still learning Windows 10 so any help would be great. I'll list my system specs below. Hopefully nothing I have is causing a compatibility issue. Sounds like asynchronous time warp keeps kicking in, are the sim racing apps on steam or Oculus Home? Are you running any GPU tweakers? The sims are being ran through Steam although I'm not using Steam VR, only Oculus Home is running. Whats a GPU Tweaker? I know the GPU software "Asus GPU Tweak II" I have installed is running in the background. Just to be on the safe side, make sure in steam vr the Super Sampling is turned to 100% and nothing more just to see if the problem persists. 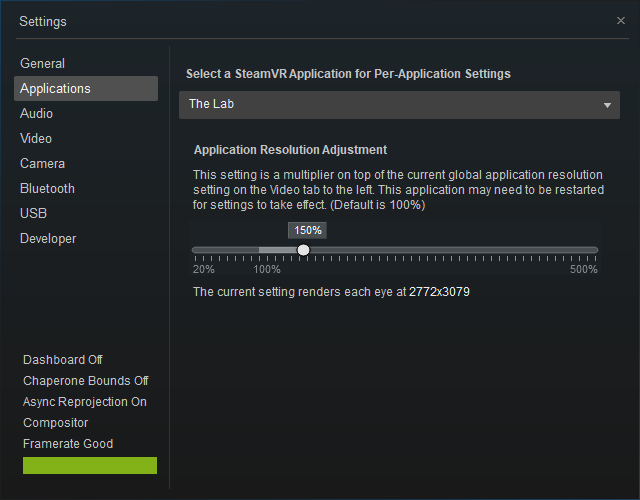 Here's a screen of current SS setting within Steam VR. I never changed it. 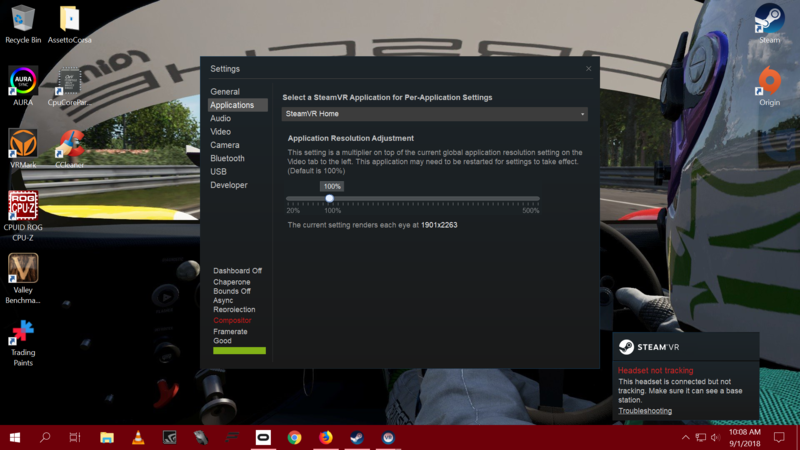 I did turn off my GPU Tweak software as well as lower SS within Project Cars 2 from 170 to 150 and did a 20 min test session. Everything seemed fine. Although I'll need to run some further test maybe this has solved it. Its weird how Windows 7 had no problems with any of this stuff but Windows 10 "The Ultimate must have VR OS" cant handle it. I'll continue testing for the day. Thank you. I do have another question. Would you mind giving me a hand with it? What's the question? 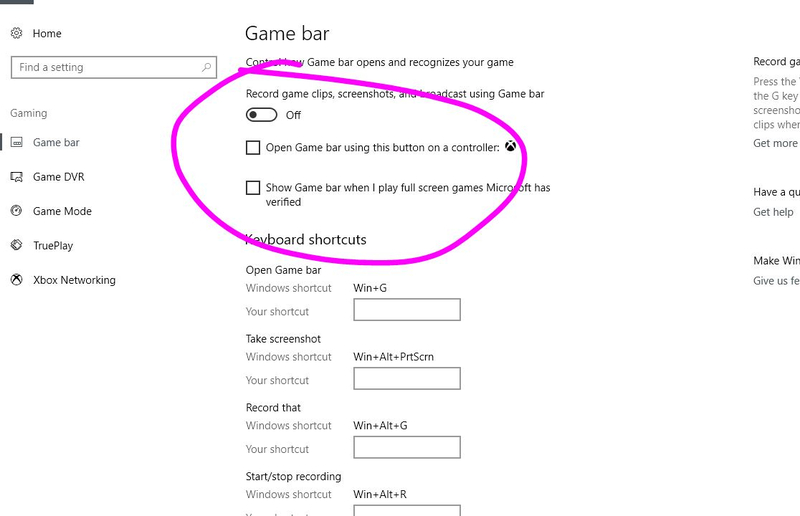 Also, in windows 10 make sure WIndows Game Bar and DVR are disabled, they are a big resource hog. I disabled all that stuff..Thank you! On my last PC I was running a i7 4790k with an Asus ROG Maximus 7 Formula Z97 mobo and Windows 7 Pro. Really the only issue I had was constant disconnects of the sensors and the HMD. I constantly had warnings in my device settings in Oculus Home saying "everything would perform better if it was plugged into a USB 3port"...which it was. It also always said "I needed to update my USB 3 ports"...which they were up to date. What constantly happened was Id be sim racing, put the head set down for a couple of min then jump back in and the tracking would be all messed up. If I lean forward everything in the display would move forward with my head, instead of staying stationary. The only way I could get it to reset is restart the pc. Sometimes it took multiple restarts of my PC to get the tracking to function correctly again. Sometimes Id get a sensor disco warnings but the headset would still track normally. This is why I built this new PC pretty much.